Hartford is inviting one lucky Isle of Man resident to celebrate Tynwald Day in style this year with their luxury Manx hamper competition. 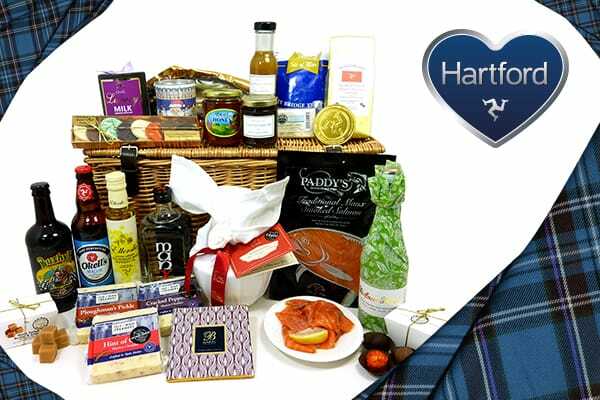 The prize is a ‘Snaefell’ Hamper worth £170 from Robinson’s which is packed full of local produce including cheese, beer and fish to enjoy over the long weekend. The free contest is open to over-18s who live on the Island and entries can be made through Hartford’s Facebook page by liking and sharing the competition post before 2pm on Wednesday 1st July. A winner will be selected at random from all the entries and Hartford will hand over the prize before the bank holiday weekend. Terms and conditions can be found on the Facebook page.